Vinyl has had a big resurgence in recent years. It’s currently the fastest growing music format, with 2.1 million records sold last year. In the digital age, a lot of us ‘enjoy’ our music on the move. Vinyl can’t be enjoyed on the move. Instead, you have to sit down (or dance around, the choice is yours) and actually listen to an album from start to finish. Think of it like watching a movie or a TV show. 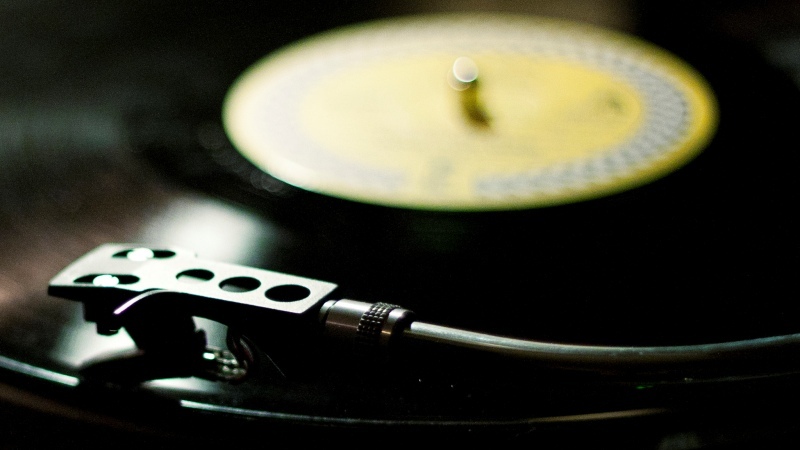 Vinyl is more expensive than a CD or download, although some would argue it’s more rewarding. It also tends to have a higher resale value. It’s a good investment! Although some people will tell you vinyl makes even the worst record sound like angels singing from heaven, it’s not strictly true. Your turntable, stereo and speakers are equally important, and you’ll need to train your ear before you pick up some of the nuances audiophiles enjoy. In short, just enjoy the music for what it is and admire your pretty new record sleeves and lyric sheets at the same time. If you want to get really serious about vinyl, you’ll need to check out a few AV blogs to learn about the art of building your own stereo system. It’s a lot of work and money, but it’s worth it. Unlike CDs, which you can just stick into a player and listen to, vinyl comes in different sizes and is designed to be played at different speeds too. For the most part, albums are played 33 1/3 RPM, while some EPs and singles are played at 45 RPM. EPs and singles are often issued on 7 inch too. Just make sure you have your turntable set to the right speed before you play a record and you’ll be fine. One of the biggest concerns for any new vinyl collector is how they’ll listen to music on the go. Don’t worry about it: most modern vinyl and even some older reissues come with a digital download code. Vinyl should be stored in a cool, dry place, away from sunlight. Stand them up vertically, as stacking them can cause the record itself to warp. A simple record won’t be good enough. You’ll need the ultra-deluxe black-white-and-green vinyl limited to 10 copies, even though the music is exactly the same. Some people hear ‘vinyl’ and immediately assume ‘hipster’. These people are wrong. Probably. There is a time and a place for bringing up your record collection. With musically like-minded friends? Great. Talking to the parents at a Christening? Not so much. Judge the situation wisely. Ready to start your vinyl adventure? Check out the huge range of vinyl records on the musicMagpie Store, from new releases to timeless classics!